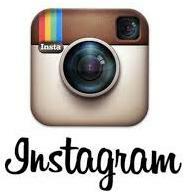 Feedback: 30 comments - leave yours! 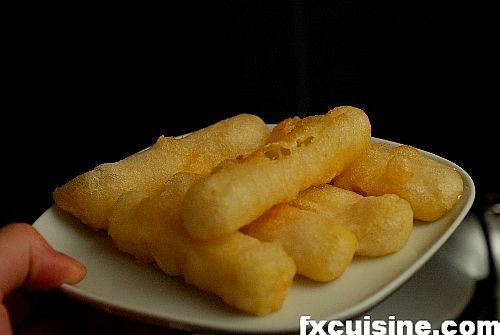 Regular readers of FXcuisine have enjoyed reading about deep-fried calorie bombs, such as the Neapolitan Deep-Fried Pizza and its Scottish cousin or the Deep-Fried Candy Bar. Today let me have a dose of my own medicine and introduce the malakoff, a specialty from my homeland, Switzerland. This recipe is said to have been brought back by Swiss soldiers who were drafted by the French in the Crimean War, a military adventure in the fine tradition that later fostered WW1 and the Iraq Debacle. 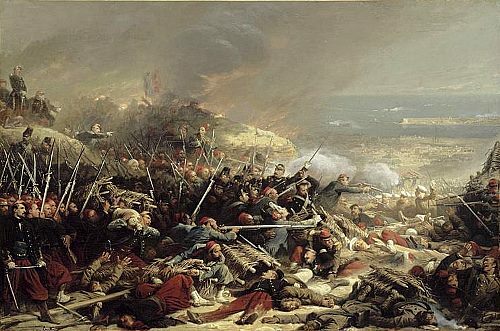 The recipe commemorates the taking of Malakoff in 1855 in the Ukraine. It is a very typical recipe of the canton of Vaud on the Northern shores of Lake Geneva. 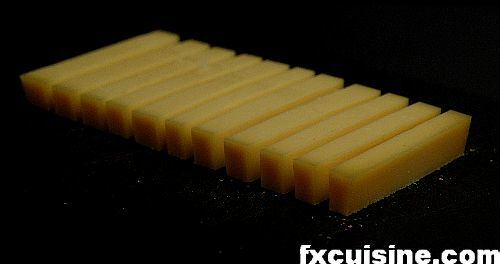 *The cheese you choose should have no holes, not break easily but still melt properly. 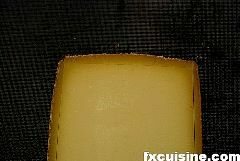 Here I used alpine meadow, unpasteurized Etivaz-type Gruyère, that's the Bentley of cheeses. But you can do this with other cheese types. 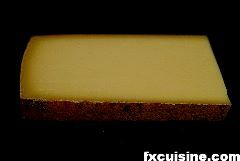 Ask the cheesemonger to cut the cheese at least 0.5''/1.25cm thick. Remove the crust and slice carefully in sticks of equal size. Please note that this dish is sometimes prepared with cheese slices to make a sort of deep-fried cheese steak. 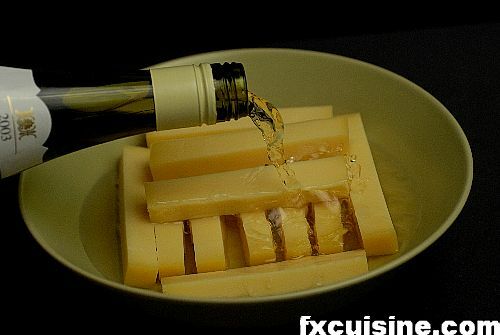 Put the cheese sticks in a plate and cover with the white wine. Cover and let marinate for one hour at room temperature. 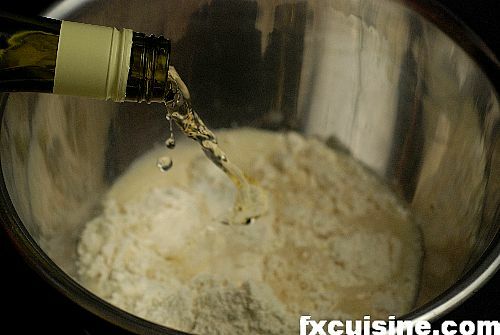 Meanwhile, prepare the batter by mixing 150gr flour with 2dl/200gr white wine. 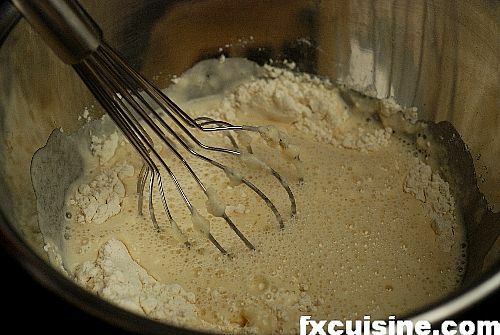 Whip until no flour lumps are visible and you have a smooth but thick batter. 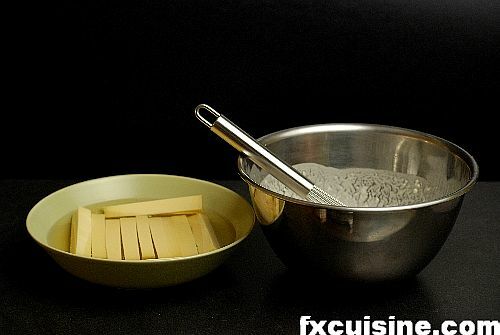 Add flour if the batter is too runny - we want it to stick to the cheese. Cover and let it rest for one hour.